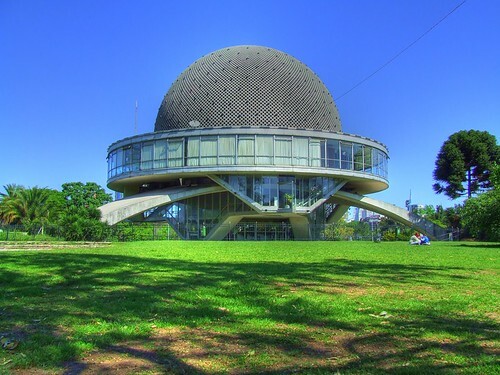 Head to the MAMBA (Modern Art Museum) in San Telmo to see the special Bruno Dubner photography exhibit. Museum opening hours: Mon- Fri from 12.00am to 7.00pm, Sat & Sun from 11.00am to 8.00pm. Av. San Juan 350, San Telmo. 4342-3001/2970. Should the rain continue, as forecasted, head to one of the city’s indoor attractions such as the Colón theatre, or the Ateneo Grand Splendid (one of the most beautiful bookstores in the world!). Afterwards you can stop by one of our recommended spots for 5 o’clock tea. For those who want to check out the 2012 Autumn-Winter fashion don’t miss the runway shows at Buenos Aires Fashion week, being held this week at La Rural. Av. Sarmiento 2704, Palermo. The full list or runway shows is available here. Finally the sun will allow for some outdoor enjoyment. 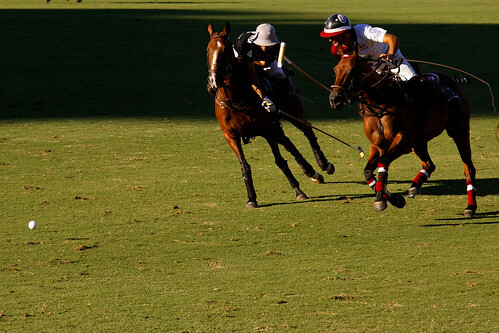 Book your place with Argentina Polo Day and spend the day in the outskirts of the city exploring the world of polo. The day includes a wine tasting with ‘empanadas’, horseback riding, a Polo Match, polo lessons, the opportunity to talk to coaches and professional players, a typical asado, and leisure time by the swimming pool. More information here. On Saturday and Sunday at 5pm, the San Martin Theatre Contemporary Ballet will be staging the 8 Estaciones Ballet (8 Seasons Ballet), a show that alternates each of Vivaldi´s 4 Seasons with the Piazzola versions. Av. Corrientes 1530, Downtown. 0800-333-5254. On Sunday, Morrissey will be staging a live show at Estadio GEBA. Marcelino Freyre 3381, Palermo. Tickets available here. On Monday the bicentennial anniversary of the creation of the Argentine flag will be celebrated around the country. 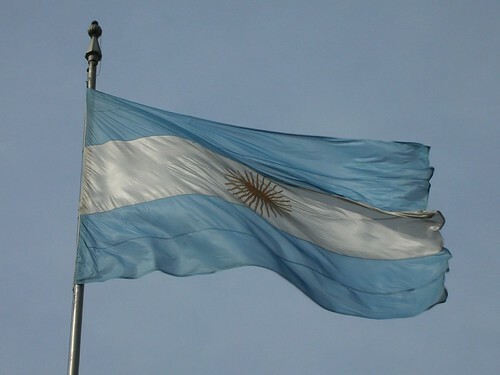 General Manuel Belgrano first raised the eye-catching light blue and white national symbol, inspired by the Argentine cockade, on The 27th of February of 1812 in Rosario during the independence war. Although the first triumvirate did not approve the flag, it was allowed as a war flag until 1816, when it was finally made official after the declaration of independence. There are different theories regarding the symbolism behind the choice of colors of both the cockade and the flag. On one hand it is said to have been taken from the blue and white colors of the Spanish Borbon family, whilst another explanation associates the choice of colors with the Virgin Mary. The most popular explanation is that it was inspired by the sky. Allthough the Inca sun symbol Inti might lead to think that this last explanation is the correct one, it was a later addition to the flag. Below we share Aurora, a himn to the flag and Marcha de la Bandera, or march of the flag. Although Tango is a folkloric music from Argentina, what is generally considered Folklore to the locals is traditional music and dances, mostly from the North and the Litoral regions of the country. Some of the more popular styles of Folklore, performed and danced at folklore parties called peñas, are Chamame, Chacarera, Carnavalito and Malambo. Chamame is a typical music and dance from Paraguay and the Litoral provinces of Corrientes, Entre Rios, Formosa, Santa Fe, Chaco and Misiones. The origin of this music is Guarani with European influences, such as the incorporation of the German bandoneon. It is similar to a Paraguayan Polka but with a stronger beat and may be cheerful or sad. Chacarera is typical in the Northern region of the country, in the Provinces of Santiago del Estero and Tucuman mainly. It has afro-argentine influences and traditionally includes a formation made up of a guitar, a type of bass drum called bombo leguero and the violin. Chacareras are generally sung, in both Spanish and Qechua. Carnavalito also comes from the Northern region of the country although mainly from Jujuy, Salta, Catamarca and Tucumán. It is a typical Andean music and dance, and is played with the quena and charango, both traditional instruments of the region. The Malambo is a typical dance that originated in the Pampas region and is carried out by men who display their ability through their footwork and their skill with knives and boleadoras (a kind of sling used by the Patagonia natives and gauchos). The rhythmic music is usually played with a bombo leguero and a guitar, although instruments vary depending on the area of the country. Peña del Colorado: This peña in Palermo serves traditional food and stages live shows by an array of performers as well as hosting folklore dances for the community. 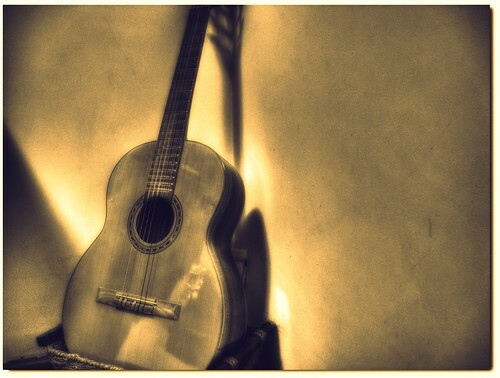 From midnight onwards they also encourage the diners to play spontaneous guitar music. (They offer the guitars). Open every day from 10pm-4am. Güemes 3657, Palermo. 4822-1038. info@lapeniadelcolorado.com. Los Cardones Peña Folclorica: Also in Palermo, this popular venue offers traditional dinner, live shows, peñas and folklore dancing lessons. J.L Borges 2180 , Palermo. 4777-1112. La Paila: This is a good place to go for homemade regional food from the North and for great live folklore shows. Open Mon-Fri from 7pm-closing and Sat-Sun from midday onwards. Costa Rica, Buenos Aires 1414, Palermo. 4878-2688, lapaila@folkloreclub.com.ar. 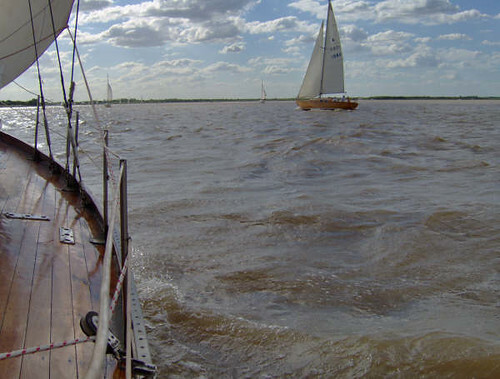 Peña de la Ribera: This popular peña is in the outskirts of the city in Olivos and is held every Saturday. They have a lovely outdoor patio where the summer events take place and they serve empanadas and typical sandwiches (choripan, bondiola.) Currently there are carnival celebrations and also open dance lessons at 10.30pm. J. Diaz de Solis 2289, Olivos. Feria de Mataderos: This popular fair held on Sundays in Mataderos showcases and sells all things typical. Folklore shows and dancing are also a very important part of its charm and popularity. The fair is on Lisandro de la Torre Avenue. To get there, we suggest you coordinate transport with the hotel, as you will have to go through some dodgy areas to arrive. Throughout Carnival weekend a series of street parades called murgas, a carnival tradition including rhythmic drums and costumes, will be celebrating around town starting 7pm. In Palermo they will be setting up at Darwin between Honduras and Gorriti and in San Telmo they will be at San Juan and Tacuarí. A map with other murga locations is available here. Sandino Bar will be hosting a Back to the 80´s party starting at 11.30pm. Bolivar 624, San Telmo. La Boca Milonga at Vuelta de Rocha- starting at 6pm a special milonga featuring Adriana Varela, Max Van de Voorde and Solange Acosta will be held at the Vuelta de Rocha in La Boca. La Bomba del Tiempo- This percussion orchestra has gained quite a reputation for their upbeat shows full of rhythm. They will be staging a show at 7pm in the Anfiteatro Parque de la Costa, Tigre. Fiesta Bubamara- These parties have become famous in Buenos Aires. Balkan music and lots of upbeat dancing are on the carnival weekend menu starting at midnight! Groove, Av. Sta Fe 4389, Palermo. Grito de Carnival en Buenos Aires- Those looking for serious Brazilian dancing are sure to find what they’re looking for at the Carnival party that will be held in Sala Siranush starting 11pm. Armenia 1353, Palermo. 4775-2678. La Bomba del Tiempo- This percussion orchestra has gained quite a reputation for their upbeat shows full of rhythm. They will be playing at Ciudad Cultural Konex 7pm and then continuing the party late into the night. . Ciudad Cultural Konex- Sarmiento 3131, Abasto- 4864-3200. Fiesta Clandestina Especial Carnaval- This carnival foam party will guarantee a whole lot of fun with available costumes and surprise live acts. The party starts at 11pm at Groove. Av. Santa Fe 4389, Palermo. Fiesta de Carnaval Mistico– Carnival festivities will also be taking center stage at Niceto Club starting at 11.45pm. Humboldt 1356 – Palermo. 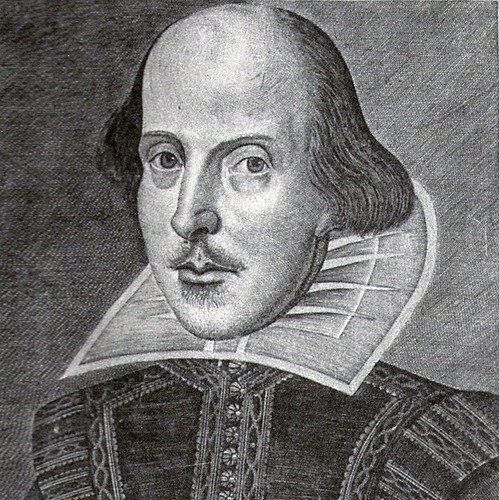 Throughout the week, until Sunday the 19th, the city will be celebrating the famous English playwright at the 2nd annual Shakespeare festival. Free activities including calligraphy lessons, performances, workshops, and more will be held in different venues and theatres around the city. Additionally there will be a recreation of a medieval village in Buenos Aires Polo Circo (on Combate de los Pozos and Juan de Garay streets) where visitors will be able to enjoy Elizabethan designs, archery, dancing, cuisine, amongst other attractions. Information on activities and theatre productions during the Shakespeare Festival are available here.